Have you heard of PepsiCo Recycle Rally? It’s a nationwide program, completely free, that benefits K-12 schools by providing incentives and resources to encourage recycling! 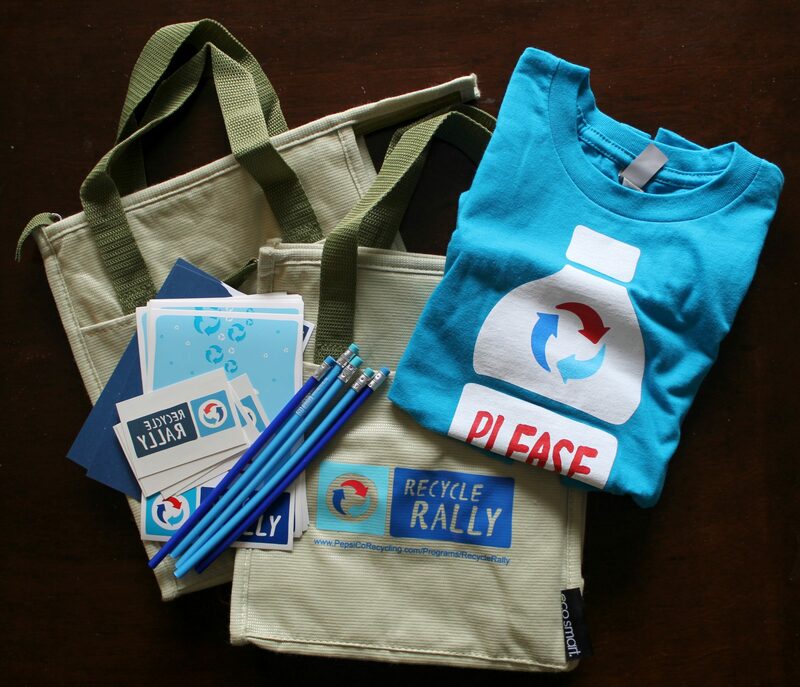 Recycle Rally is helping to get people excited about the act of recycling by offering fun prizes in exchange for simple actions. 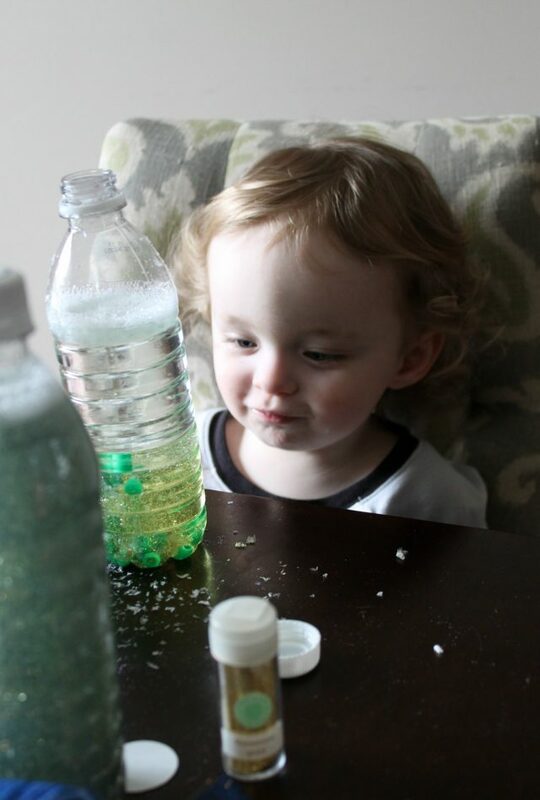 They sent us this fun little package of supplies to get us excited about recycling, too – and it inspired us to create a fun sensory craft! 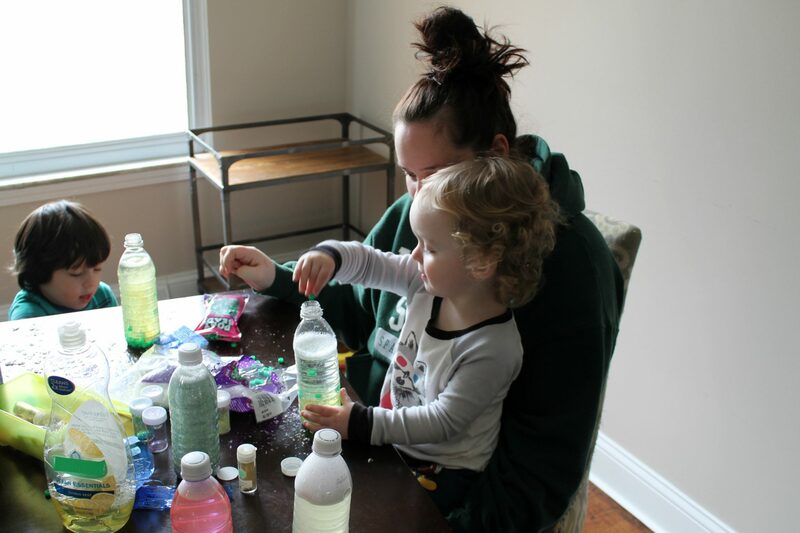 These Sensory Bottles are a fun way to re-use plastic water bottles that you may have in your home, and your kids will have such a fun time creating their own sensory bottle. 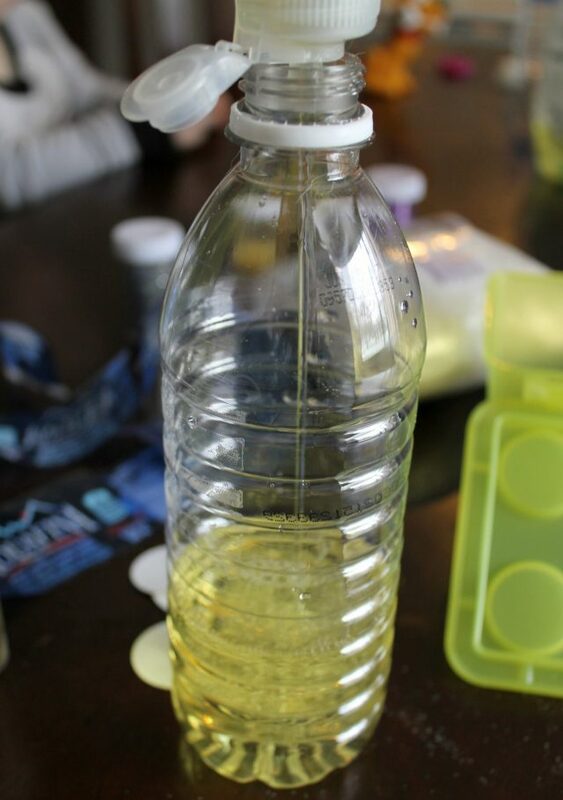 We used a mixture of dish soap and water as the base for our bottles. 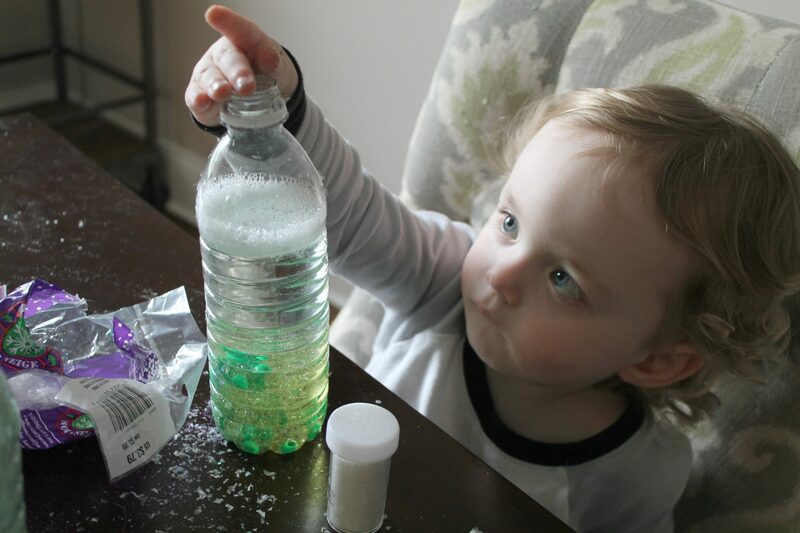 We purchased a large container of dish soap on sale, and it was enough to make 7-8 sensory bottles! anything else you’d like to add! Grab your plastic bottle, and peel off the label. Fill about half way with dish soap, the more dish soap you put in, the slower your objects will move. This has a very calming effect! For ours, we played around with the soap/water ratio so the content of our bottles moved at different speeds. 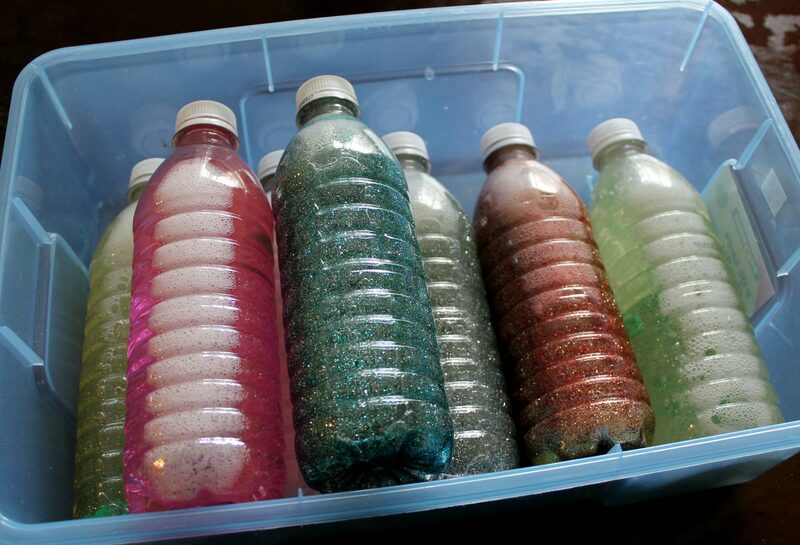 Have your little ones add in their glitter, beads, etc. 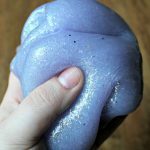 When they’re finished, they can top it off with more dish soap, or just water! 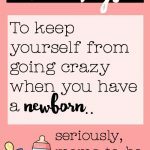 My kiddos had SO much fun doing this, and I have to admit – so did I! We sat at the table together for about an hour making a wonderfully-glittery mess, together. 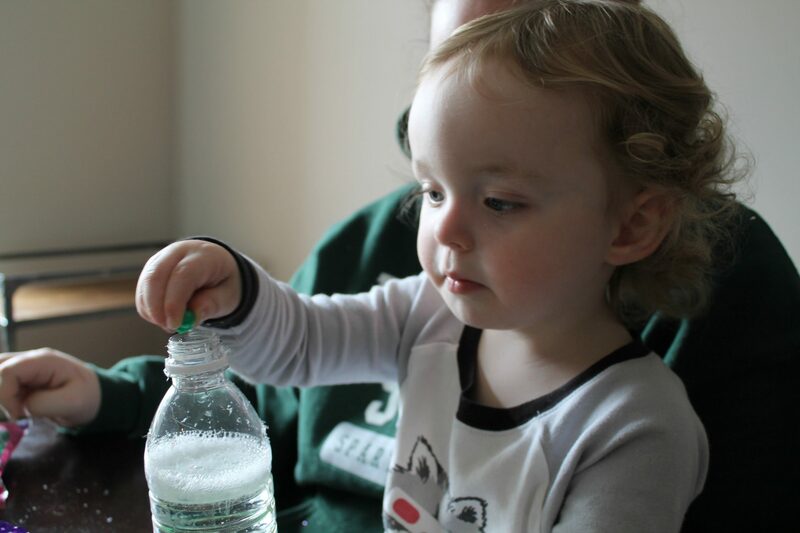 Both boys loved dropping the beads in the mixture and watching them sink to the bottom of the bottles. 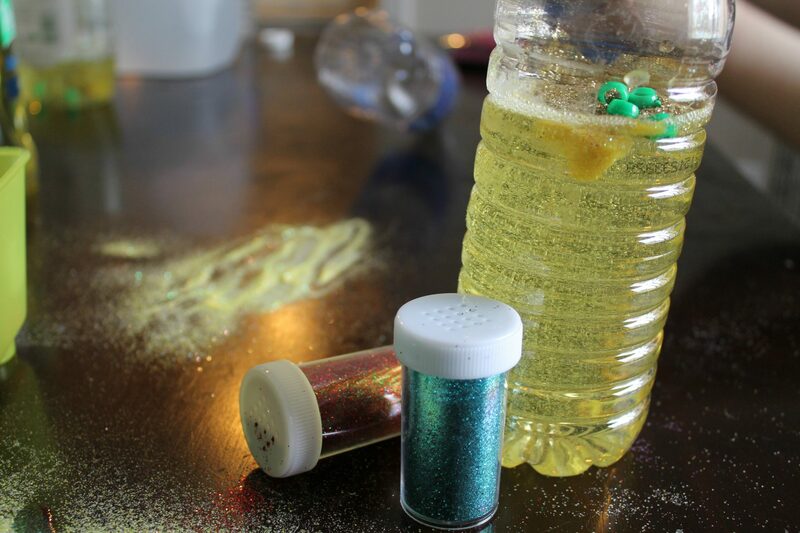 I laid out every color of glitter that I had in my craft bin, and just let them go crazy! Look how great they turned out! 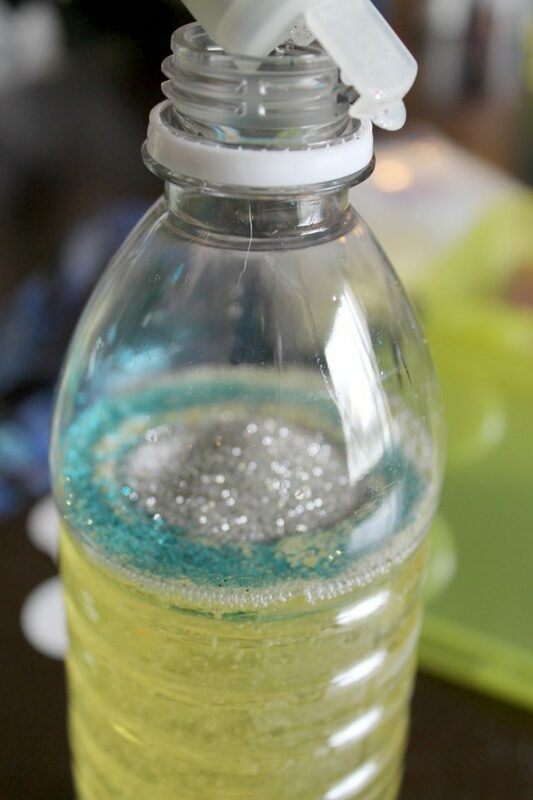 Although the dish soap we used was a pale yellow, you couldn’t even tell in most of the bottles because of the glitter / water combo. It was fun letting them add more water to some bottles, and more soap to others. The all soap bottles made the glitter move very slowly, which was fun to watch – and the bottles with more water gave a swirling effect. When we were done making our bottles, we stored them in a bin so we could safety store them for later use. We’ve got a couple of chilly days coming up here, so I have no doubt that we’ll be breaking these out this week to play with again! Do you think your child’s school would like to participate in Recycle Rally to inspire recycling in their school? Through the program, schools that participate can get access to download free resources including: poster templates, certificates, lessons, activities, and more. Fun, right? Schools can also choose to pool their rewards and redeem them for recycling bins, supplies, and lots of other fun stuff! Learn more about PepsiCo Recycle Rally HERE and HERE! 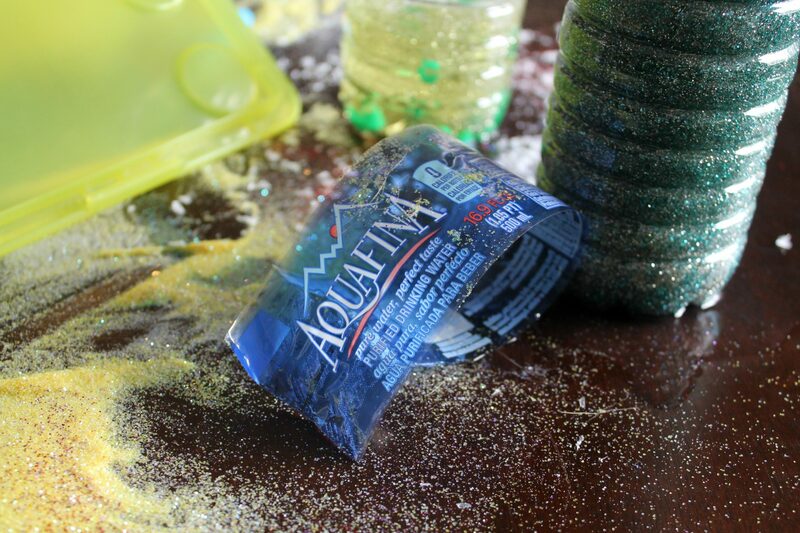 Previous Post: « PetSmart Fish: Why our home will always have fish! 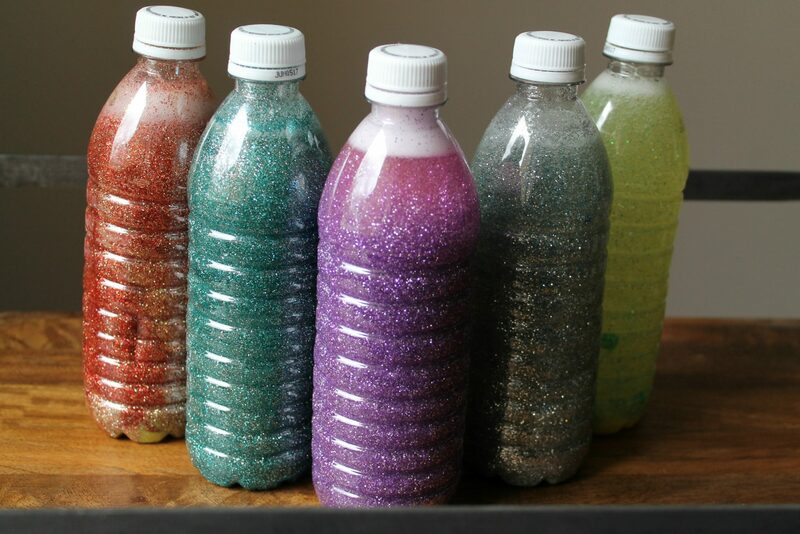 These are such neat sensory bottles. I love how easy they are to make, too. That’s always a plus. These are great. They seem really easy to make as well. My girls would love these so I will be trying them out on our next rainy day. We have a few of these kicking around the house that we use during “quiet time” to help settle the little ones before nap. I love the colors yours are. So pretty!! I love this idea. They look great with all of the different colors. I think these would be a lot of fun for the kids to play with. 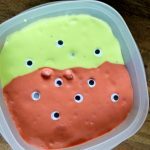 My kids LOVED making these about a year ago… I actually wrote a post on it a few months back! We made mini ones too for travel! 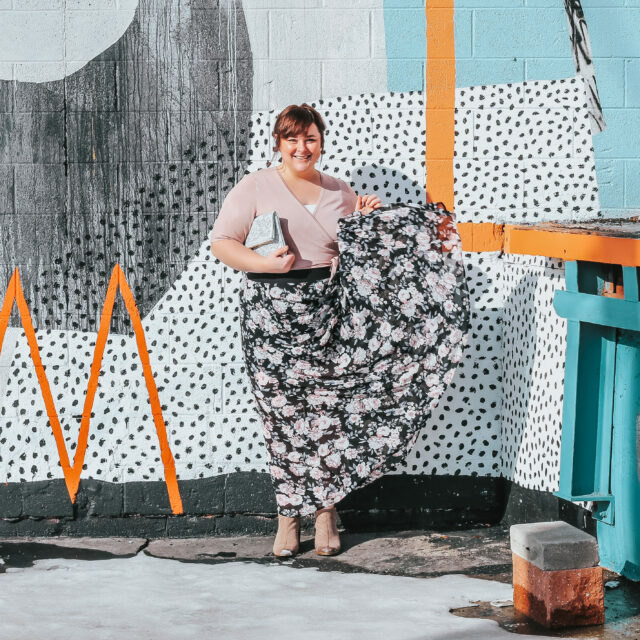 What a FUN craft!! 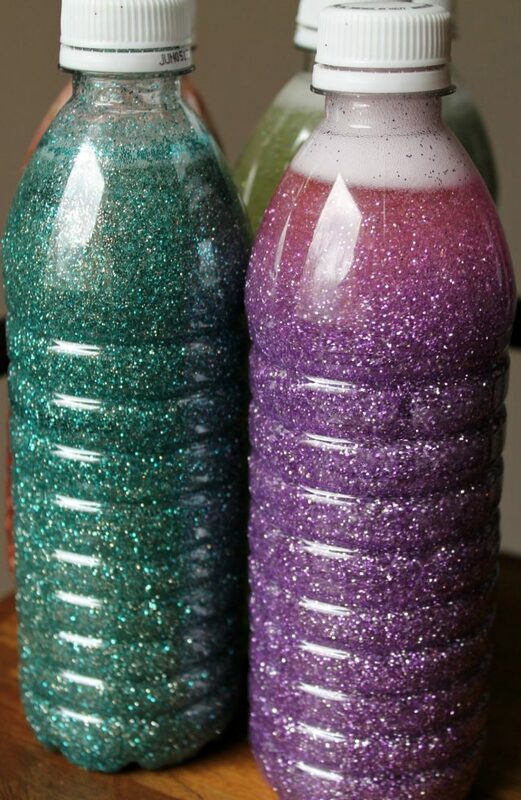 I am down for anything with glitter and these seem like a great craft to do with kids that they will love!! These are so cool. 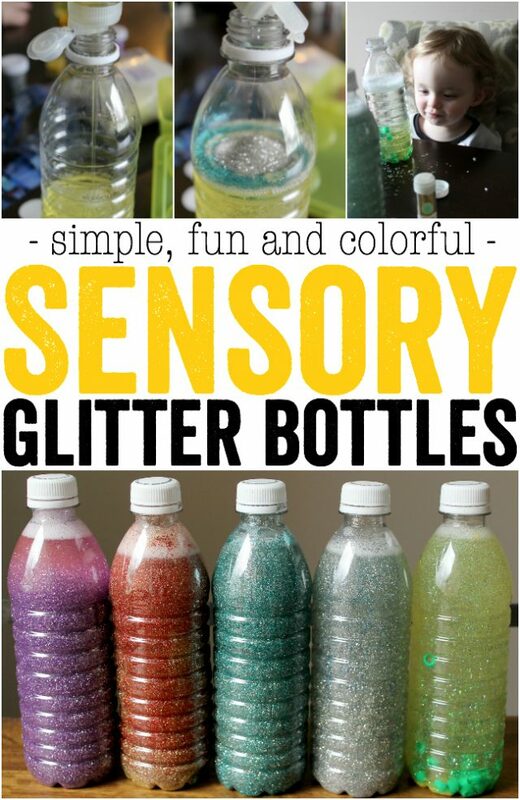 I bet my youngest would enjoy a sensory bottle. I’ll have to get some glitter so that we can try it. Love these. I love doing DIY for sensory activities. Easy, cheap and fun, I will try these for my littlest one. I’ve seen thes on tumblr aimed towards adults with anxiety! It’s awesome that they are so easy tomake! I love the Idea and it sounds like lot of fun!! Kids would love doing these great craft!! 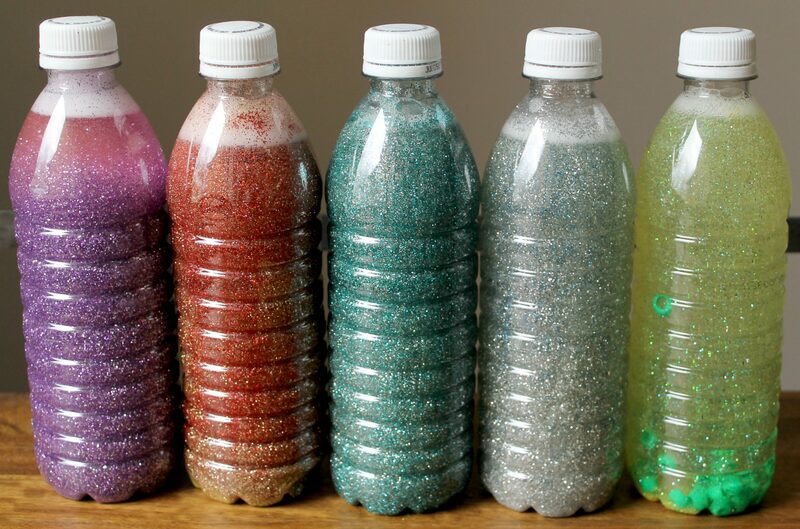 These glitter sensory bottles are awesome! I love that you can customize them in the colors that you want!